Inspired by classic campaign dressers, this chic chest of drawers brings traditional style to the modern home. Ideal for use in the bedroom or home office, you’ll have plenty of room for storing your personal items with this wooden storage drawer unit. 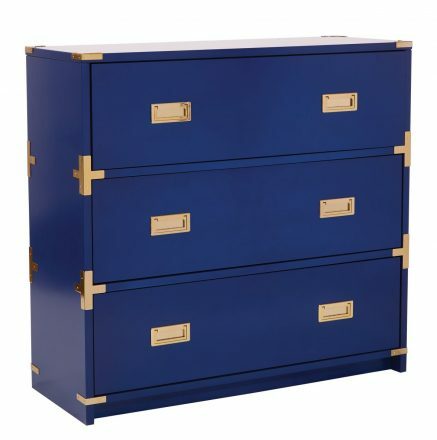 Bring timeless style into your home with the Wellington 3 Drawer Chest.